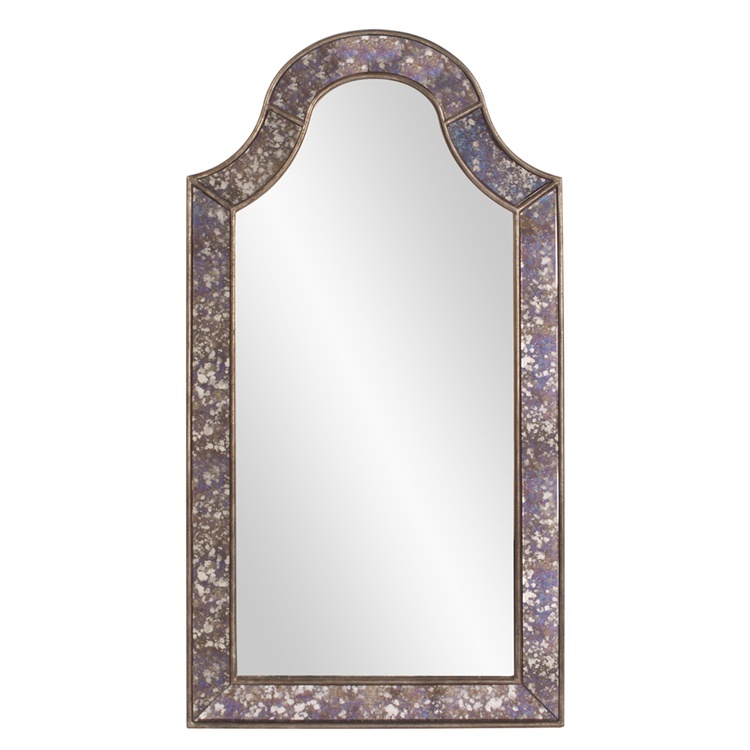 The Saratoga Mirror's rectangular frame is arched at the top. The frame is made up of mirrored panels each of which is finished with an acid treatment giving the glass an antiqued effect. The glass is then trimmed in an antique gold. It is a perfect focal point for any design. Customizable for larger orders.